DNMark.com offers a stable OpenCart web hosting service. We offer a 1-click OpenCart installation right at signup, a 24x7 support service and a 99.9% uptime guarantee. You can get an OpenCart-optimized hosting package for only $2.75 a month, together with a brand new domain name. 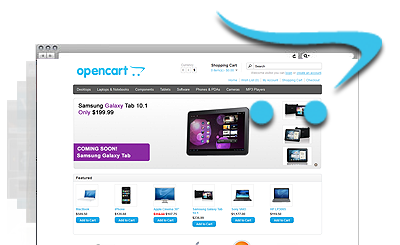 OpenCart™ is a trademark of OpenCart Limited and shares no affiliation with DNMark.com. OpenCart hosting made simple with DNMark.com! DNMark.com meets all criteria for hosting OpenCart-driven online shopping portals. DNMark.com offers an outstanding tech support service. The average trouble ticket response time is about 20 mins.